Lately I’ve been seeing a lot of Agua Fresca drinks. 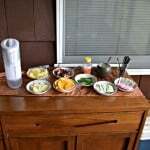 It seemed to me like it was just a different way to make fruit infused water. Upon further investigating it seemed like a sweet beverage. 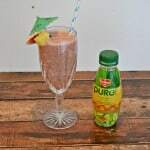 I looked up what the actual definition is and it said that it’s a combination of flowers, fruits, or seeds blended with sugar and water to make a light beverage. 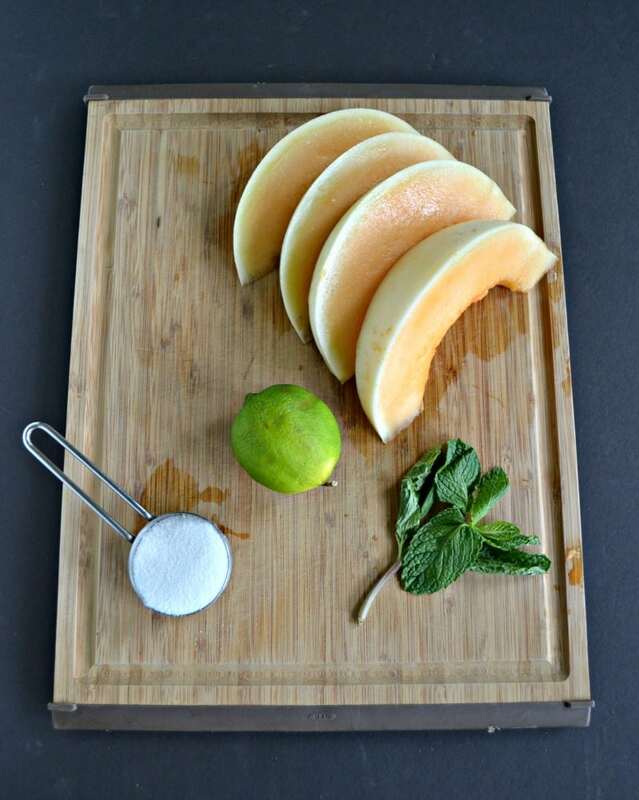 I’m up for trying anything once so when I saw cantaloupe’s on sale at the market I picked one up to make agua fresca. I wasn’t sure if I’d like it or not but I wanted to try it. I knew the basic recipe was pureed fruit, strain, add herbs and sugar then a lot of water. I pretty much winged it figuring I could taste it and adjust if needed. 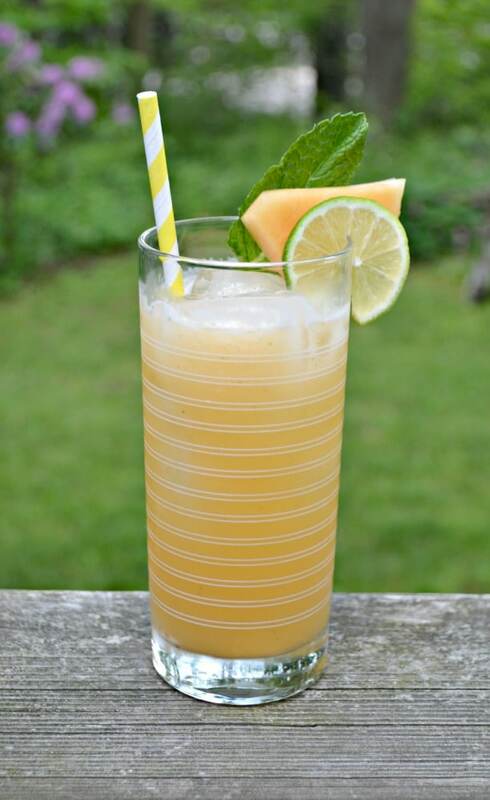 I ended up blending half a cantaloupe with a handful of mint, a bit of lime juice, and a cup of water. I pushed this all through a fine mesh strainer. Then I returned the pulp to the blender with another cup of water and strained this as well. I then threw away any leftover solids. To finish the beverage off I simply added water and a bit more sugar. 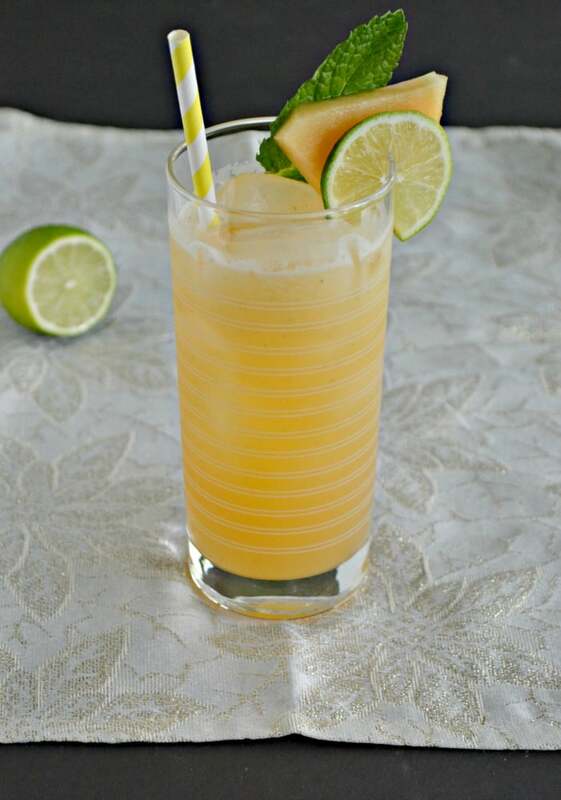 I stirred it up, poured it into a tall glass filled with iced, and topped it off with a slice of cantaloupe and a lime wedge. I hesitantly took the first sip. The result? Super refreshing! 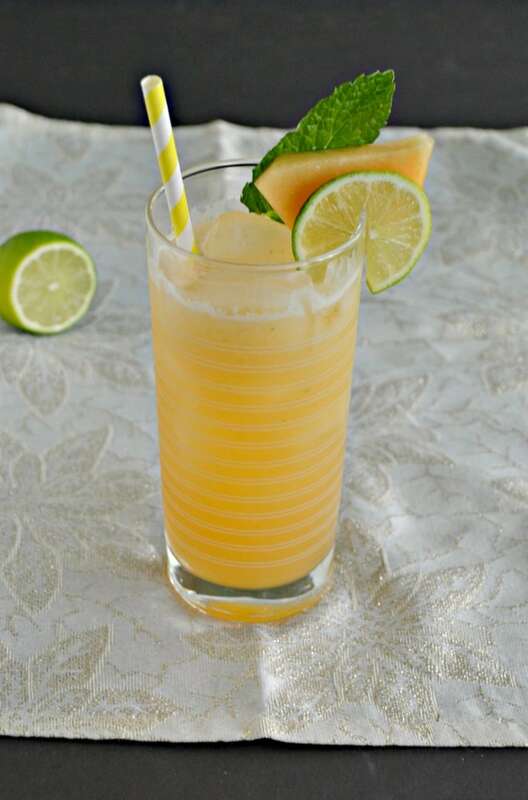 It’s very lightly sweetened but has a delicious melon, lime, and mint flavor in it. It’s got a lot more flavor then water simply mixed with cut up fruit. I was really surprised by how much I enjoyed it and was pleasantly surprised that it wasn’t very sweet. When my husband came home he was hesitant to try it, thinking it would be too sweet. He had the same reaction I did. He thought it was really refreshing and not too sweet. In fact, we drank an entire pitcher in 2 days. I like that not only do I get the benefits from drinking water but I get some of the nutritious value from the fruit. When I drink regular infused water I don’t feel like I get those benefits. I liked this water so much that I tried 2 other flavors the first week I made it! I’m pretty sure this is going to be my non-alcoholic beverage choice of summer. 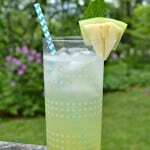 A delicious summer water that is infused with pureed fruit, herbs, and a little bit of sugar for a refreshing beverage. In a blended combine the cantaloupe, 1 cup of water, mint, lime juice, and ¼ cup of sugar. Blend until smooth.